It's been a while. Again. I know. It's bad. I'm hopefully going to be better at blogging now that I'm almost done with all the wedding planning. It's been such a blast tending to all the little details and counting down to our big day. My angel of a mother has been such a big help and I can't wait for everyone to see what we've spent so many hours planning! Well, on Saturday night my cute friends threw me the best bachelorette party slash bridal shower ever. I really have never been to a better shower. And not just cause I was the one getting the gifts.. cause that was pretty great.. but they served delicious food, we played the best games, and we all had stomach aches from laughing by the time the night was over. 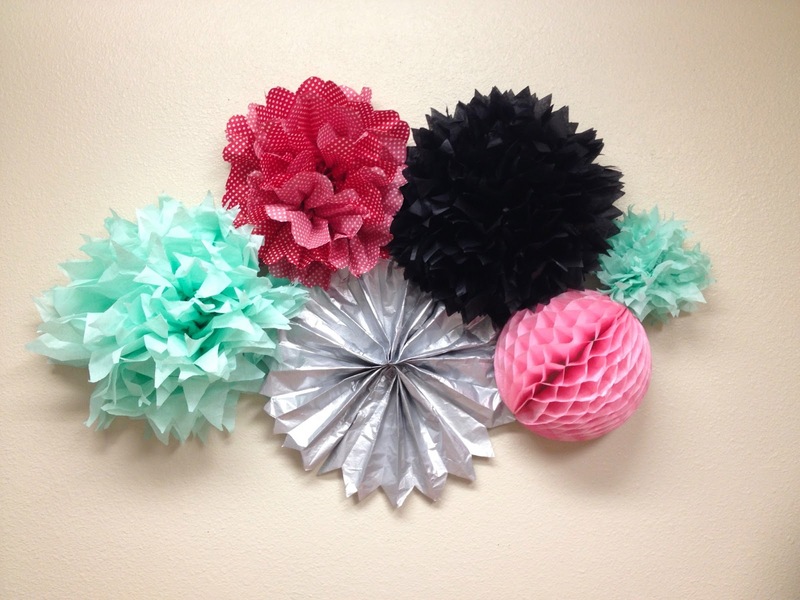 Nat decorated the apartments with cute flag banners, pantie banners, and homemade paper pompoms. Everything was so cute! 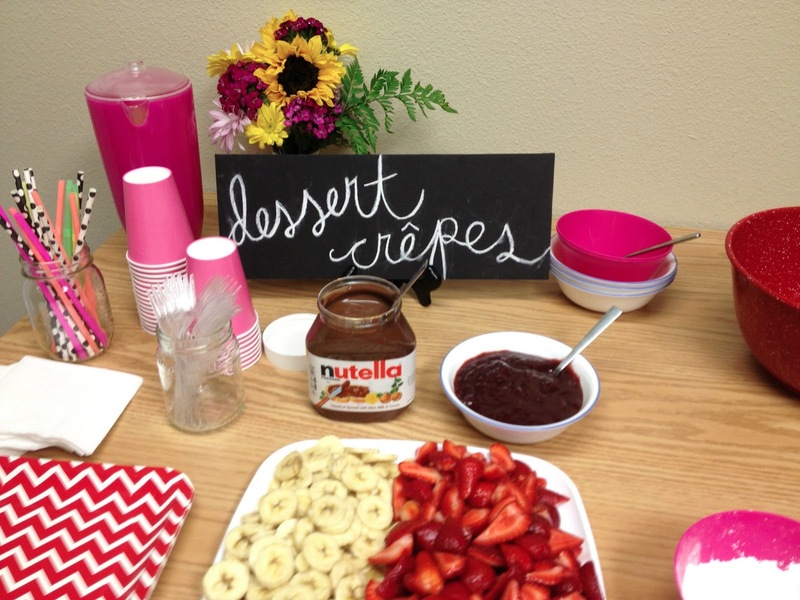 She also made yummy crepes for everyone! 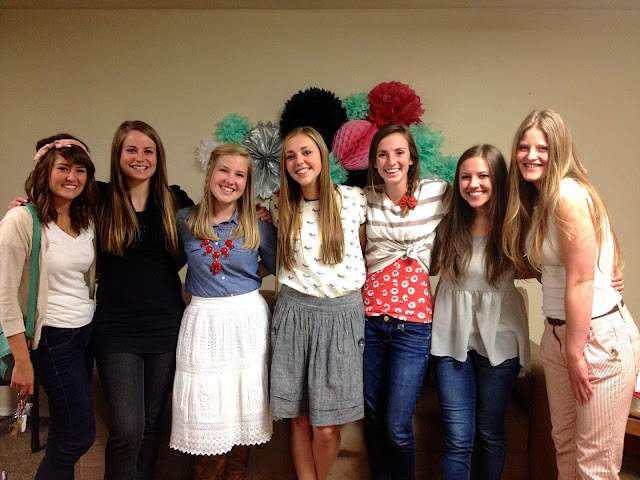 Of course I am the worst at documenting things so I only have a few pictures but this was one of my favorites - all my Tingey girls from freshman year and my sweet cousin Amy! We definitely missed all the cousins and friends that were out of state & country and couldn't make it! And thank you to all my lovely friends that made my shower a night to remember!! love this! two more weeks! DESIGN BY SITE B .